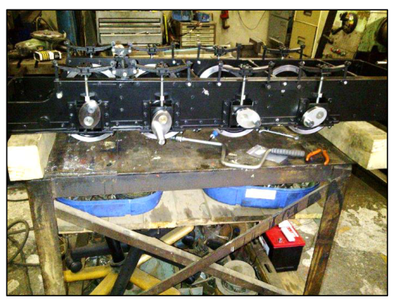 Flexible Fixed Wheelbases using splined or quill transmission. I recently was loaned an excellent treatise of Articulated Steam Locomotives by a colleague. The book was called Locomotives"by Lionel Wiener originally published in 1930and later republished by Kalambach. An excellent compendium of all of the many and varied types of articulated steam power up to the day. Looking through this book, under engine-Semi-articulated locomotives with quill transmission "which although wordy, is a good description of a transmission system developed for railways but used on most automobiles on the road today. In the railway application, with these systems, the wheels can take up a position radial to the curve being traversed, which I thought might be a good idea to share with you and follow on from my article on the latter radial axle bogies design (Scheffel bogies – see Willans Hill Shunter, October 2014 – THE SCHEFFEL SPEED/HIGH STABILITY"BOGIE). In this chapter of Wienerbook I found a lot of description of the Klein-Lindner system since the Klein-Lindner system also provided a way of providing radial axle bogies but on locomotives. In addition I have seen locomotives using this system on my visit to sandstone Estates steam railway in South Africa. By necessity locomotives using these systems of articulation had outside frames. The original concept was used by Arthur Heywood on his 15"Duffield Bank railway and following is a short description of the Heywood System. I have seen both full size prototypes and models using the Klein- Lindner system. These were on the 0-8-0T Feldbahn locomotives many hundreds of which were constructed for the German military, used in warfare and several of which have been restored around the world. I have also seen a young model engineer excellent efforts in a 7 ¼"gauge model of one of these locomotives. In essence this system of articulation could be described as Transmission"or also Axles"as both these terms describe salient parts of the system. It would appear that Arthur Heywood was the first to use this system of hollow axles and quilled or splines to effect articulated transmission but the chief patent belonged to two Germans after whom 'Klein-Lindner' axles are now known. Some 0-6-0T Orenstein and Koppel locomotives used this system but the majority of locomotives that used this system were 0-8-0T, such as the Feldbahn locomotives. 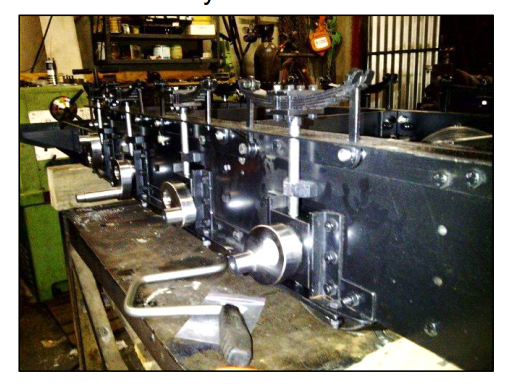 In this system for a 0-6-0 locomotive, the middle axle remains radial to the curve and the 2 outer axle wheel sets both yaw to take up radial positions to the curve whilst the drive is transmitted to them by normal coupling rods. 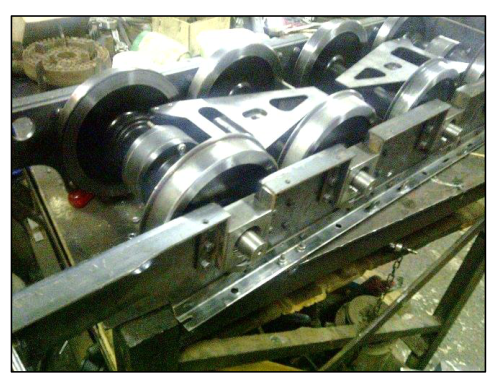 This is achieved by the use of outside frames which effectively hold the axles in position and allow power transmission from the cylinders to the axles by normal coupling and connecting rods. 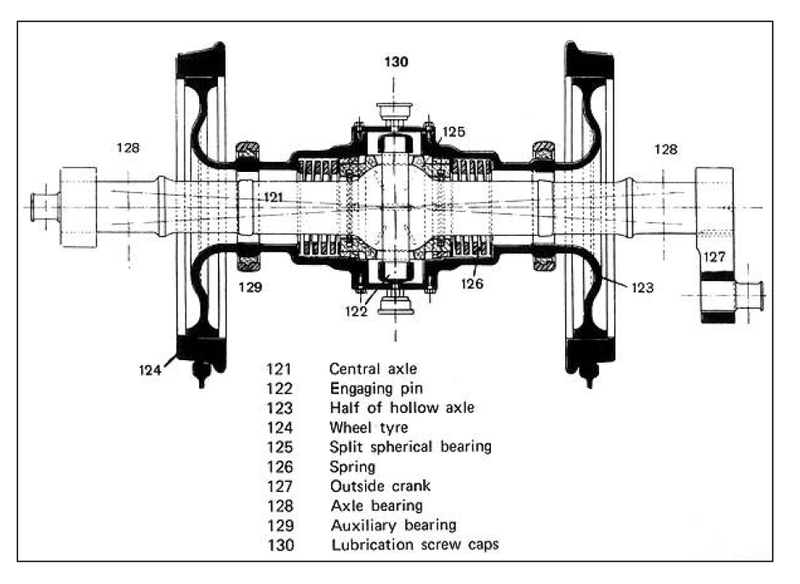 Similarly the valve motion is as per normal straight locomotives. 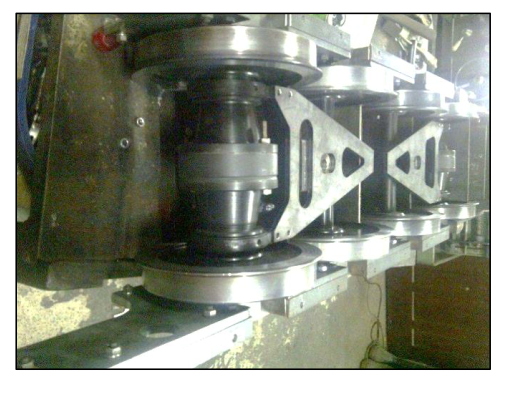 The difference all takes place between the frames where the individual wheel sets are mounted on sleeves which are free to slide laterally over the axle and also to yaw. A spline consisting of a pin through the axle and sliding in a housing in the wheel set sleeves allows the transmission of driving forces from the axles to the wheel sets. The central wheel set normally is arranged to merely slide laterally over the axle whilst the outer wheel sets are housed and connected in a frame similar to a 2 wheel Bissell truck or the cross anchor parts of the Scheffel bogie. This allows controlled radial yawing. Figure 1 illustrates this better than I can describe. 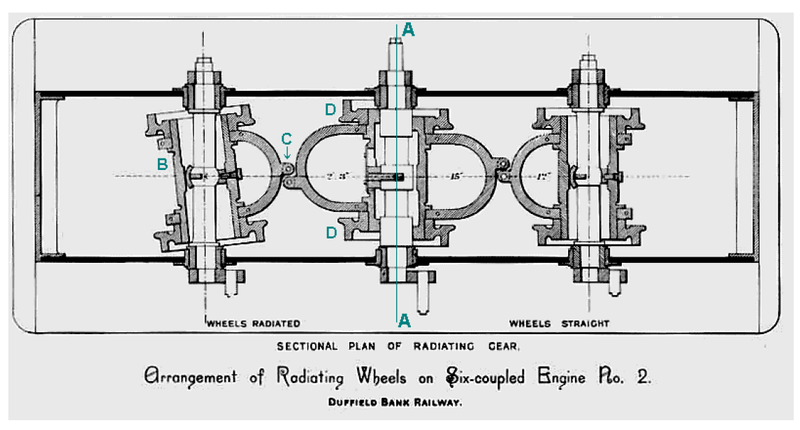 Figure 1 The Heywood radiating gear of locomotive Ella. This was designed in 1877 and built in 1881. How it works: Figure 1 is two drawings in one. To the right of the line AA the wheels and axles are positioned for straight track. On the left of the line the effects of a sharp curve are shown. The large drum-like outer axle B has pivoted, but remains driven by the central spherical item. The interconnection C between the outer axles pushes the central wheels D sideways, accommodating the curve of the track. 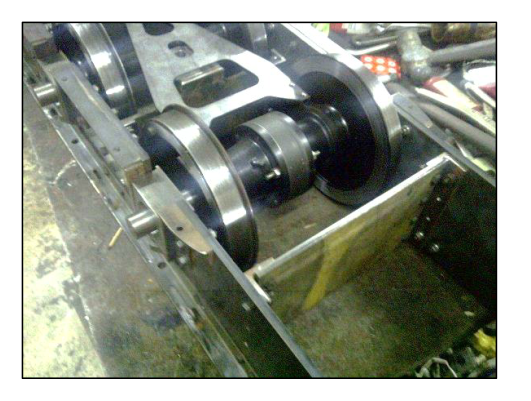 The inner axles with the cranks at their ends do not move, being fixed in bearings in the frame. Photo 1 'Ella' using the Heywood system described above. 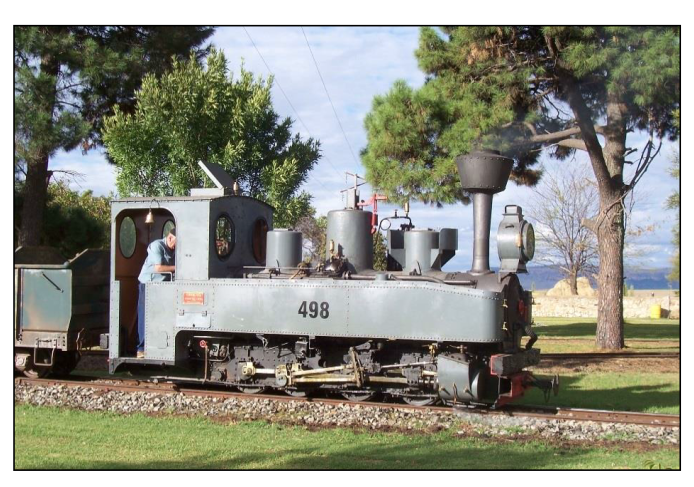 This 15' gauge engine originally used on the Duffield Bank Railway and later on the Ravensglass and Eskdale Railway (South African Railways). The Klein-Lindner system is a particularly interesting piece of engineering design which provides both lateral and radial movement of one of the coupled axles. 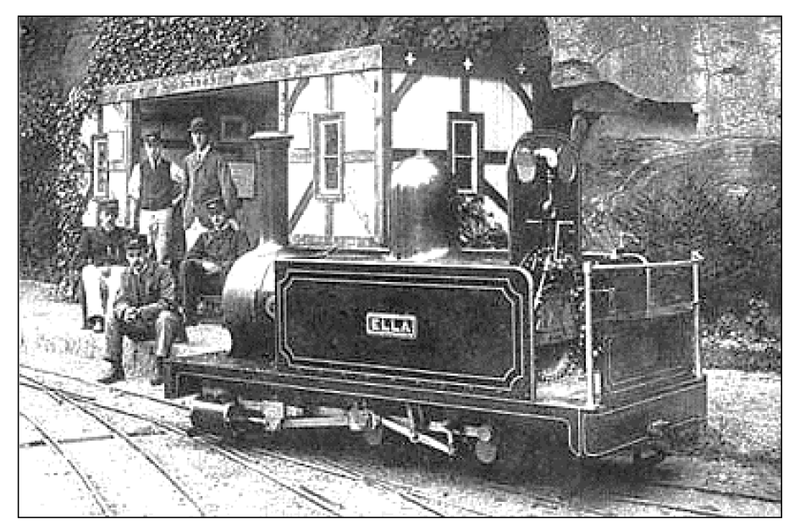 In about 1890 a Dresden engineer, Klein invented the system and a Mr Lindner helped to develop the invention and build a locomotive for the Saxon State Railways. This system was largely used in Germany and although little known elsewhere was considered a serious competitor to the fully articulated type of locomotive. One of the benefits is that all axles are available for traction without affecting curving ability or hunting stability. 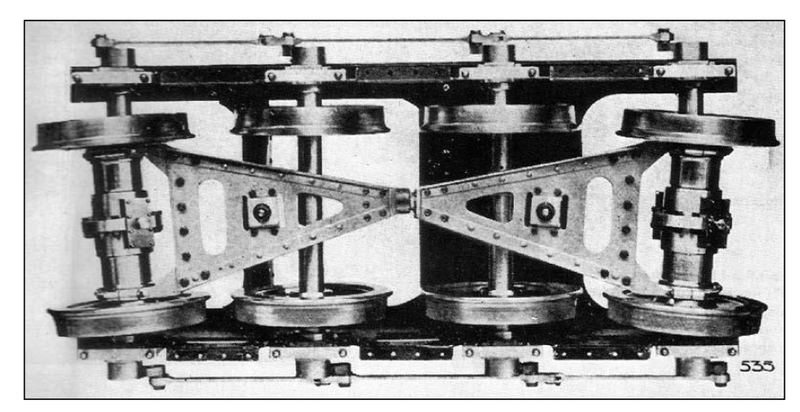 As an example of this system a 600mm gauge 0-8-0T locomotive of "Horse power"(HP) with all driving wheels flanged, could negotiate a 10m radius curve at a speed from 10-25kph because even though the total wheels driven"coupled wheel base was 2.25m its fixed wheelbase was only 0.7m. The original was one of hundreds built for the Imperial German Army and after the War"saw service on private railways around the world. This one worked most of its long life on Sena sugar estates in Mozambique. 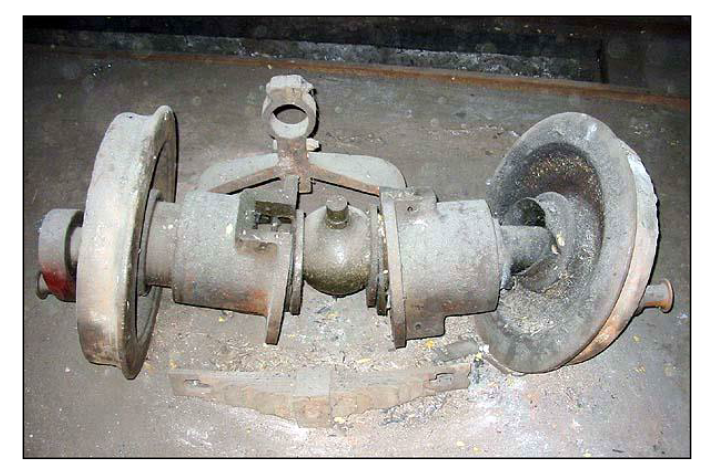 Several have been preserved and it is interesting that even though it was the last one to be repatriated from the Sena system, because it was in the poorest in practice, the original patent covered the basic idea and indicated that the outer axles should be connected to pivots in the centre of the locomotive to ensure that the outer axles behaved themselves when curves were exited. In practice, this passive approach was soon found to be inadequate and modifications had to be made. In the case of Orenstein and Koppel locomotives this meant adding springs. In the 1930 the locomotives had been most widely used on narrow gauge lines but were starting to appear on standard (1435mm) gauge lines. Two of South Africamodel engineers are the DuPreez brothers Henk and Stephan, who in their teens were already churning out lovely miniature locomotives, eventually putting themselves through university. 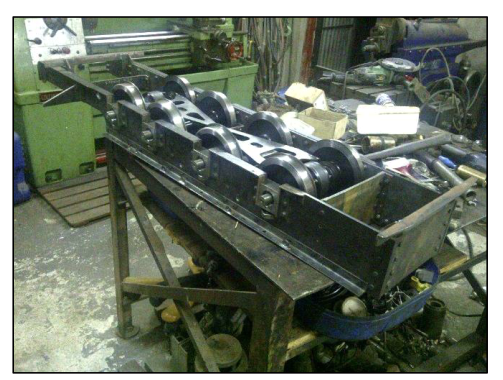 Henk DuPreez has sent me some photos of a 7 ¼model he is constructing. 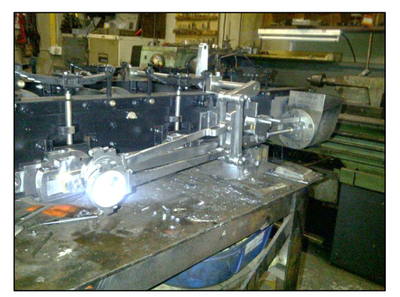 I saw the chassis in April 2012 and knowing their productivity I would be very surprised if it is not completed by now. His model is of the 0-8-0T Feldbahn locomotive restored by Sandstone Estates. These photos below clearly show the Klein – Lindner articulation. Four Photographs by Henk DuPreez of the Klein-Lindner system of articulation as applied to his model of a 0-8-0T Feldbahn locomotive. 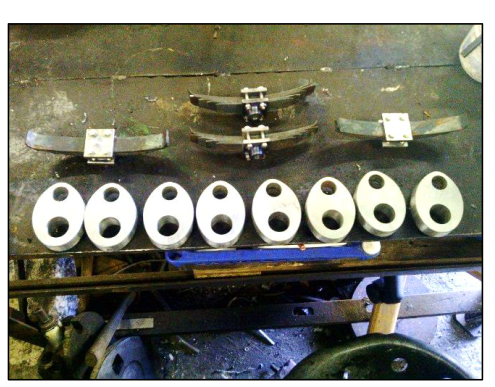 He has used commercial "CV" joints sold as spares for the automotive industry as a basis. Refer photos below. -Articulated Locomotives by Lionel Wiener and first American edition 1930 and subsequently republished in 1970 by Kalmbach Publishing Co.
- Various articles in Wikipedia and the Internet. - Photos by Henk DuPreez.